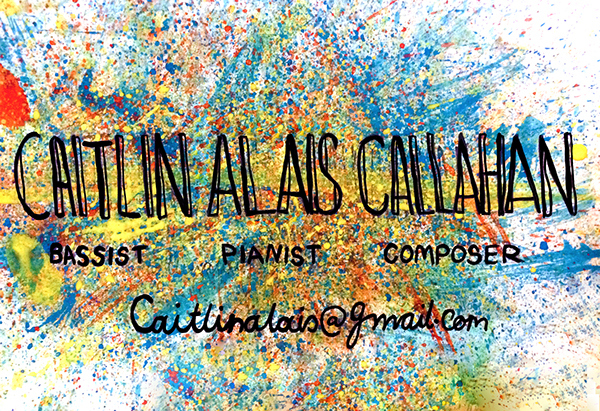 Completed business card for contemporary musician and Musical Director Caitlin Alais Callahan. More information about Caitlin can be found here; she’s excellent. Water based paints and Steadtler pigment liners.